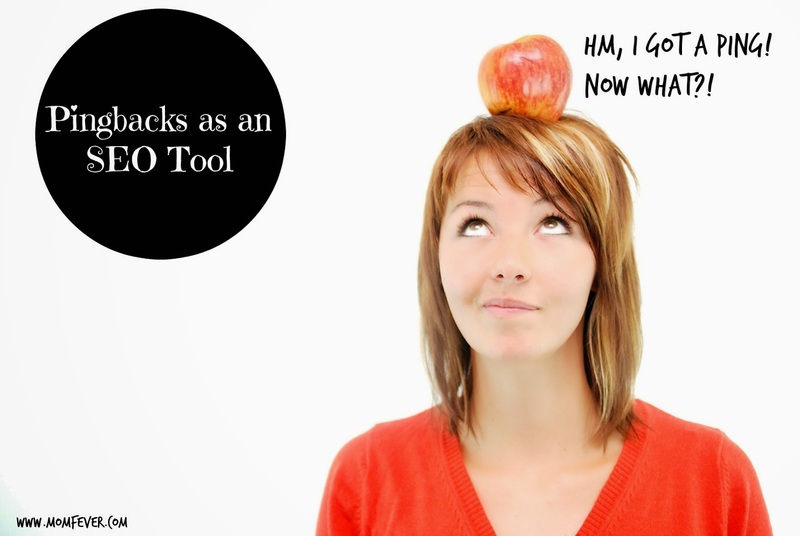 Trackbacks, pingbacks and backlinks: what are those? When I finally succumbed to the lure of Wordpress.org and left Blogger, I suddenly got these pingbacks! Pingbacks are sent in an email, telling you someone has linked to one of your blogposts. If you allow it, someone else's pingback will appear in the comment section of your blog. Pingbacks can be an SEO-tool, but thread carefully! You can use pingbacks as an SEO-tool to get new visitors. After all, if you link to someone else's blogpost you might get a link to your post in the comment section. With a bit of luck, their visitors will click on your pingback. But be careful. Nobody likes a blogger who tries to use other blogs only to promote herself! So if you do, make sure your post has value! Pingbacks and trackbacks use different communication technologies (XML-RPC and HTTP POST, respectively). Pingbacks can’t be edited by the recipient blogger. Pingbacks are send automatically if you have a Worpress.org blog, and they're enabled. Trackbacks you have to send manually, so they require a bit more effort on your part. Say, I want to repond to one of Vanita Cyrills posts. Like the one about the free Getty Images. But I think my comment is so brilliant and witty I don't want to waste it on someone else's blog. So I turn my comment into a post on my own blog. Then I send Vanita a trackback, so she knows I responded to her post. I do this by scrolling down below my post. There I see a trackback box. If you don't see a trackback box, you have to enable it. Go to your screen options (upper right of your screen) and enable trackbacks. Paste the url of the blogpost you want to 'comment' on in the trackback post. Vanita will get an email telling her she got a trackback. If she accepts it, an excerpt of my post will appear in the comment section of her blog. If you have a Blogger blog you get backlinks instead of pingbacks. You won't get an email about a backlink, but you can see them in the comment section as 'Links to this post'. You have to enable pingbacks and trackbacks! Go to your Dashboard, Settings, |Discussions and make sure trackbacks/pingbacks are enabled. 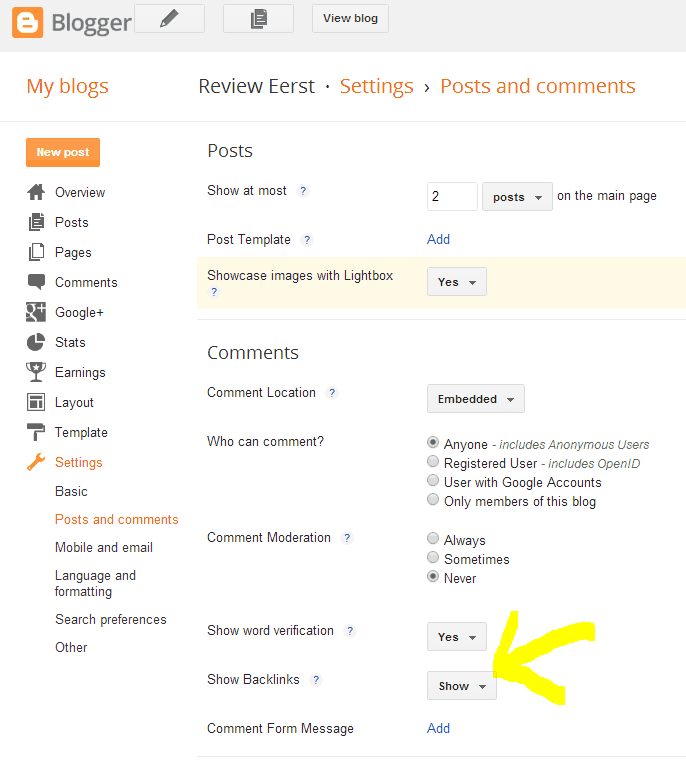 Go to your Dashboard, Settings, Posts and Comments, choose 'Show Backlinks'', Save! We all know the importance of getting backlinks. A pingback offers you just that. But you have to be careful, and not become a spammer! If you link to someone's blog, make sure you do it for the right reasons. And the right reasons would be to give someone else kudos or because a link provides visitors with good information. How do you feel about pingbacks and trackbacks? I have so much to learn!! I'd never even heard of pingbacks until reading this. Thanks so much for the info. I've often wondered about the difference between these two! Thanks for sharing! sorry to tell you this, but your trackback attempt didn't work. i never got an email. I came across this post in the comments section of bloggingbetties.com and was super shocked to see I was mentioned. you're not doing anything wrong. i turn off those settings because 1. they leave you open to people trying to build backlinks to questionable websites and i don't want google catching me linking to those sites and 2. when they pile up they can break your database therefore break your blog. Thanks for this information. I wasn't sure why I get pingbacks on my wordpress site if I link to an older post. I need to check out me settings on this and decide how or if I want to utilize these. Yes, you can easily change this LeAllyson. Just change the settings. Thanks! I've learned a lot from this post. I've been blogging for 2 years but I still don't know the technical side of it. This is all new information to me. I was at a conference last week and my brain was in overload. This just added more to it. I have so much to learn and do. I'm sorry to add to your load! Here, let me take the weight off your shoulders: don't worry about trackbacks! I have recently been getting lost of Pings and they are on older posts, how does that happen? Im so new to this stuff I can use all the help I can get. Thanks for sharing on Friday Features on Oh my Heartsie Girl!! 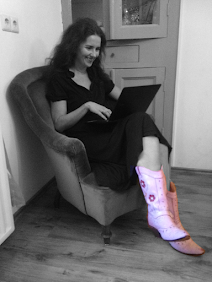 Moving to Wordpress did nothing for my blog Kate. Right now I'm back on Blogger and I love it! Wow, I bookmarked this so I can read it later. It's 1:40 a.m, and I'm not at my best right now!